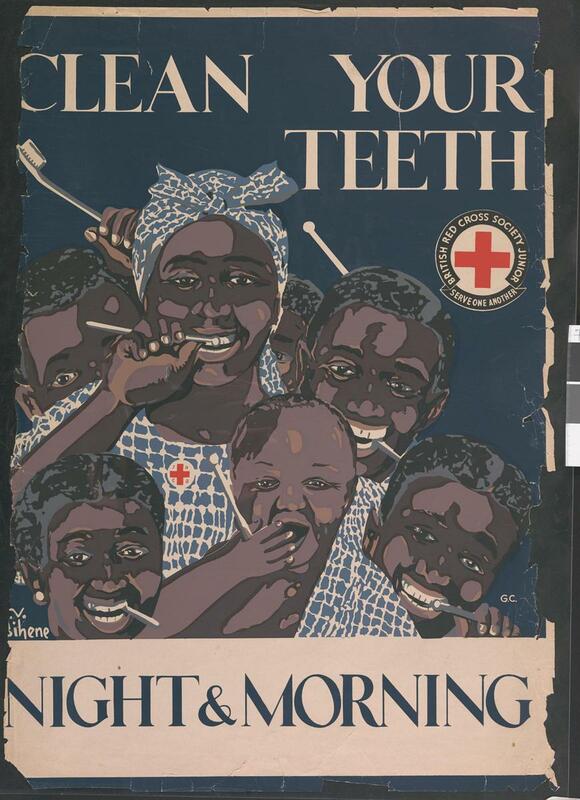 Large colour poster: 'Clean Your Teeth. Night & Morning'. A copy of this poster was on display at an exhibition at NHQ in May 1951, opened by the Prime Minister. The overseas section showed activities of the British Red Cross Society's Central Council Branches.